is Actually Better for You? 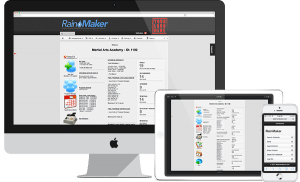 Join over 6000 instructors,teachers,trainers, and other professionals all over the world who trust the most powerful, simple, and easy to use fitness martial arts software designed just for them. 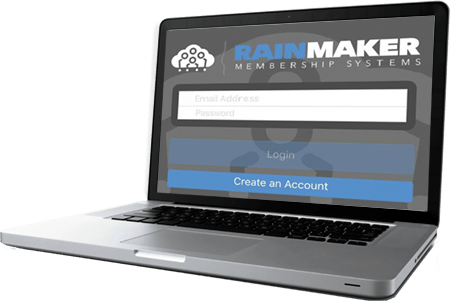 Do you know that you're losing valuable sign-ups? 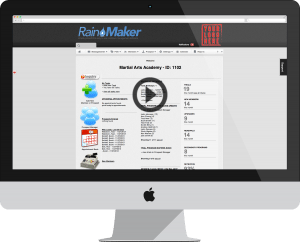 RainMaker's simple website connection stops the problem right now. Find out how to automate your billing, save time and grow your revenue. Get powerful, effective, and automatic follow-up for boosting your bottom-line. Now, see how easy it is to sell more trials, gear and more. The MOST LOVED Client Support ANYWHERE. There is no such thing as PERFECT and you will need help from time to time. What happens when things go VERY wrong? We've got your back. and it More than Pays For Itself. and still know everything is getting done. RainMaker Fitness Martial Arts Software was created to give you more control, more focus, and more freedom. Do you hate having to use 11 different types of software just to run your business? Email, Point of Sale, Appointment Booking, Billing, Text Messaging, Digital Signature, and more...and none of them seem to talk to each other which means you have to enter each contact into every single different tool. You can use RainMaker to stop all of this now. Don't let people fall through the cracks and feel unimportant, indifferent and remorseful about being a part of your program. Membership Business DNA Baked Right Into The Design so that it works the way you do. It's Fast & Simple...You use just 4 simple things that drive ALL automations. We're Actually Located Right Here In The USA & You'll Know Instantly That We've Got Your Back.